Magazine's are like restaurants. To start one you must have a great idea, a lot of passion and capital. I know this first hand, having worked for deep pocketed Petersen Publishing in Manhattan (Motor Trend, Guns & Ammo, Photographic, to name a few) as well as co-founding and publishing my own magazine Wine Country International®. Just like restaurants, only 2 out of 8 magazines survive beyond 2 years. 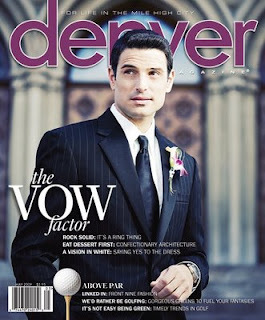 I was deeply saddened to learn that Denver Magazine had shuttered it's publication yesterday. I know it's founder & Publisher, Michael Ledwitz pretty well. He is a bright guy with tons of passion and energy. During the past year, he managed to fine tune the publication into a high quality magazine that I looked forward to reading every month. Circulation was reported to be at 50,000 copies per month which is pretty formidable in today's publishing world. 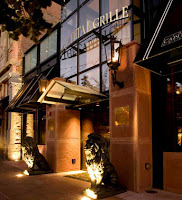 For those who read my blog, it is no secret that I am a big fan of the Capital Grille restaurants. I first experienced Capital Grille's Tyson Corner restaurant, when I was a national sales manager with a generous expense account. It was love at first bite!